Visit one of France's most iconic sights, the incredible UNESCO World Heritage listed Mont-Saint-Michel and experience the island at your own pace. Discover the magnificent medieval abbey at the island's summit, a key site in French history. 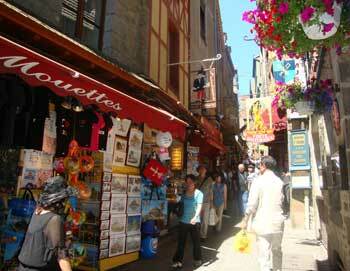 Your tour starts in the morning in the center of Paris and jump on the bus headed to Mont-Saint-Michel. Relax on the bus and take in Normandy's beautiful green landscape along the way. You'll reach Mont-Saint-Michel at around noon. 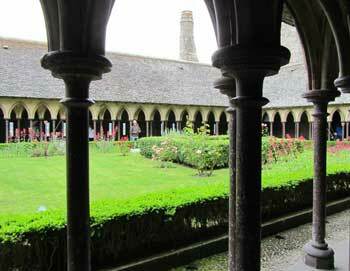 Climb right up to the top of the island to the captivating Benedictine abbey, which dates from the 8th century. A wonderful example of Gothic architecture with three floors and the place is dedicated to the Archangel Michael. Walk around in the abbey's charming garden, looking out to sea. Make the most of your time at the abbey with a walk along the ramparts and walls; the landscape is breathtaking and you'll understand why Mont-Saint-Michel is a UNESCO World Heritage site. You may also decide to visit the Mont-Saint-Michel's museums, spend some time souvenir shopping or try the local crêpes until 4:30 PM and the bus heads back to Paris. You'll be back in Paris around 9:15 PM. The tour lasts approx. 14 hours. - This tour is not a guided tour. - Lunch is not included in this tour. - Please note that the climb up to the abbey can be taxing. - We highly recommend wearing comfortable shoes and warm clothing are advised in winter. Monday, Wednesday, Friday & Saturday at 7:15 AM.